A wonderful month for number theorists: the Weak Goldbach Conjecture is proved [Helfgott], and an enormous inroad is made to the Twin Prime Conjecture [Zhang]. Neither advance owes anything to me. 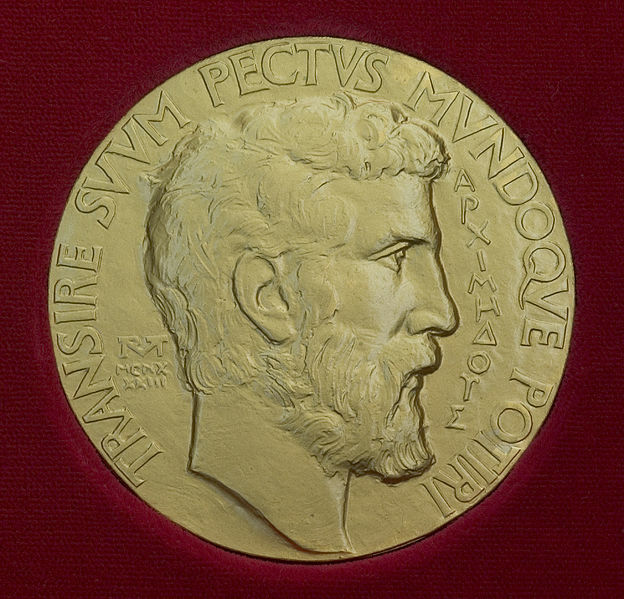 Kevin then posed an interesting question: is the Fields Medal awarded in the year of the work that merits it? If so, wouldn't you be pissed off to make an advance of huge stature to be pipped by someone else? I'll delay my publication of a proof of the Riemann Hypothesis until next year, just in case. 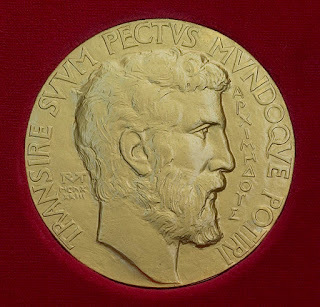 More productively, we thought about manufacturing a facsimile of a Fields Medal using the underused 3D printer in Gwyddoniaeth Gyfrifiadurol at Prifysgol Aberystwyth and taking it turns to wear it during excursions to the pubs of Aber. Kevin, incidentally, is runner-up in the World Outdoor Cribbage Championship.